Honey Bee Waggling Hop Bats by Nubis Sanctum Ales is an 11% ABV Belgian Trippel India Pale Ale (IPA) brewed with Arizona Wild Flower Honey. Brewed at the Avila Ales Household. Project #7 was my take on the famous hoppy Belgian Tripel IPA, La Chouffe Houblon Dobblen IPA tripple but my take was using a variety of other ingredients such as Columbus and Amarillo hops and using Arizona Wild Flower Honey. Yes, the ABV does have a story to tell as my original gravity was supposed to keep things near the 9ish% ABV but instead went to the 11% ABV range. Literally a Triple IPA that is also a Belgian Tripple. What a Trip? Especially considering the name. Waggling and Dancing, don’t fall and “trip”now! Cheers! This brew was born on National Homebrew Day when I brewed with my friend Richard Stan Avila of Avila Ales, one of my great friends and fellow homebrewer. A great brew in a somewhat of a collaboration as great beers are made with great friends. Phenolic notes, Belgian candy sugar, Citrus, oranges, tangerines, grapefruit, grassy, floral, piney hop notes, bubble gum hints, honey dew melon, Stone fruit apricots, peaches, strawberries, raspberry hints, kiwi hints, marzipan bready notes, rich honey, bananas, brown sugar and clove spices. Rich bananas, clove spices, Citrus, oranges, tangerines, grapefruit, grassy, piney hop notes, honey, dulce de leche caramel, phenolic notes, vanilla, Belgian Candy sugar, dark fruit plums, grapes, peppercorn, tangerine candy, Stone fruit apricots, peaches, strawberries, raspberry hints, kiwi hints, marzipan bready notes, dragon fruit hints, passion fruit, rye bread, plantains, pineapple hints, lemon hints, bubble gum, flan and sweetened condensed milk hints. Slight booziness in the taste which is covered by honey and malt as it warms up, Golden Honey Amber, light to medium body, smooth crisp, syrup and creamy mouthfeel and a moderate to sipping drinkability. I’m well damn impressed. The fact is, I did not get the carbonation right (Still learning 😦 ) But… the beer itself was well damn amazing. The beer has lots of great flavors reminding me of the La Chouffee Dobblen IPA Tripel but taking it a step further into like a Honey and Barleywinesque territory. The fact that I used Amarillo hops most likely makes the difference in the enhanced excotic fruitiness but either way, this beer is ridiculously delicious and is something I would love to make again. 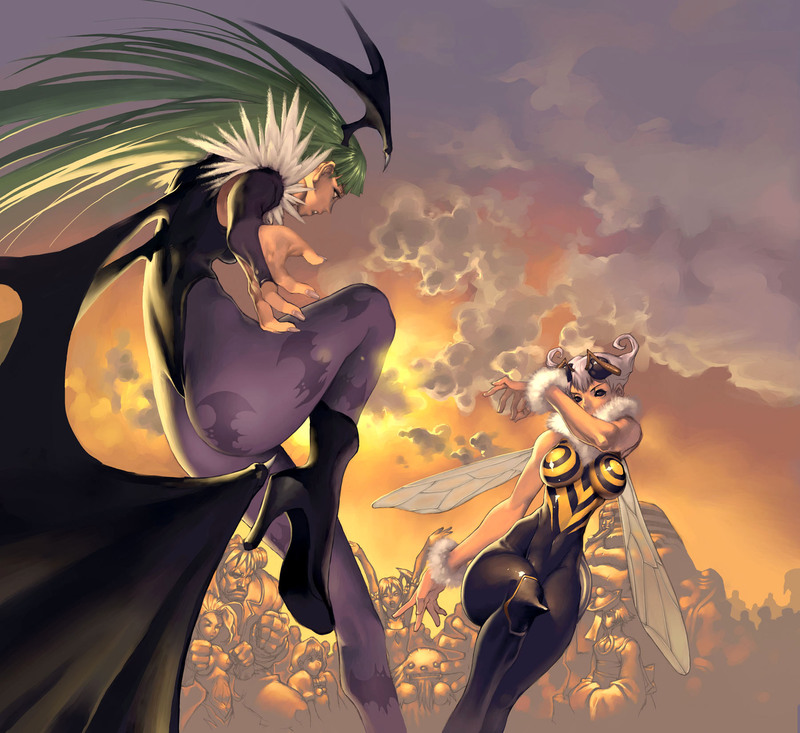 Morrigan Aensland and Q-Bee from Darkstalkers/Vampire Savior were used in this pairing because I wanted to show how the fusion of the honey and hops combine by doing a dance mainly done by bees called waggling. Do bats do the “waggle” too? Maybe, maybe not but both bees and bats are in your face enemies in some 2-D platform games that become annoying. 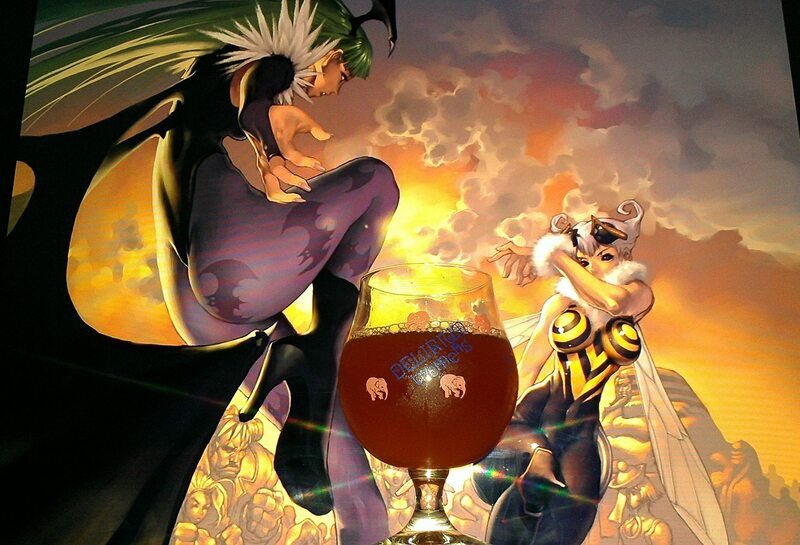 The fact that I found this pic thought was a major tribute to some of my favorite characters to the Darkstalker series but also one of the greatest compliments to the Belgian IPA as Morrigan represents the dark fruits and hoppy goodness while combining with the floral rich honey and sweetened condensed milk and citrus provided by Q-Bee all fusing in a beer that is probably way better than the original Dobblen Trippel IPA from La Chouffe. Although I can only hope. Gyeonju Beopju Ssal Makkoli is a 6% ABV Sparkling Rice Wine. Rice has been cut & clipped to fine polished makkoli. Makkoli or “Makgeolli” is made by fermenting a mixture of boiled rice, wheat, and water, which gives it an off-white color. This milky fermented rice wine has yeast, proteins, amino acids — and a lower alcohol level than other wines. A gift from my future sister-in-law, Elli. 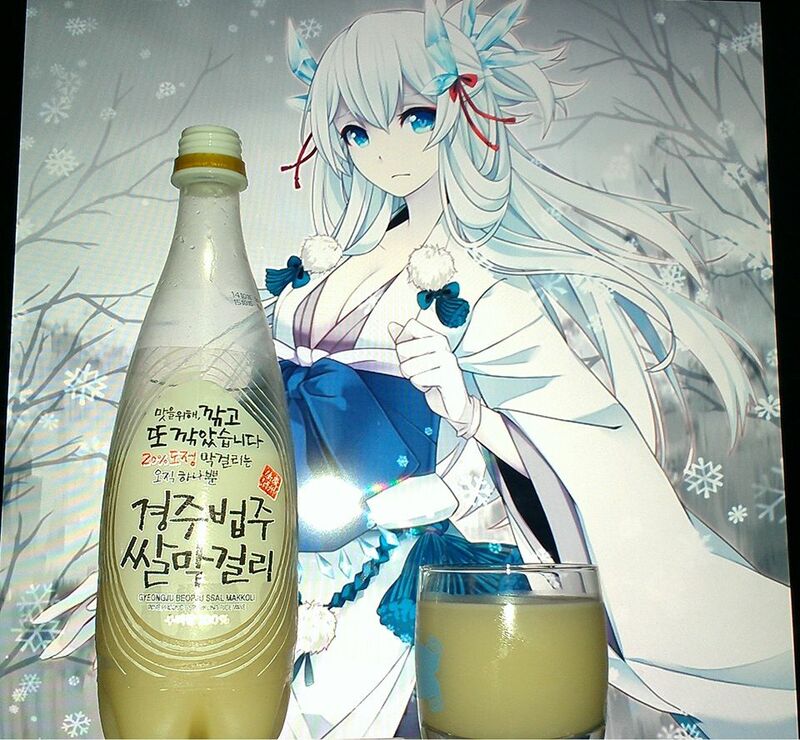 As praise for the gift, I decided to do a review of this Korean Sparkling Rice Wine. I have never done a wine review (except a barleywine) and while I really like sticking to beer, I felt this treat was worthy of a mention. This milky bottle of pearl whites is a rice wine or rice beer called Makgeoli which like stated in the description, low in alcohol. I think this is why it can be enjoyed many times where as a glass a wine would get someone buzzed. 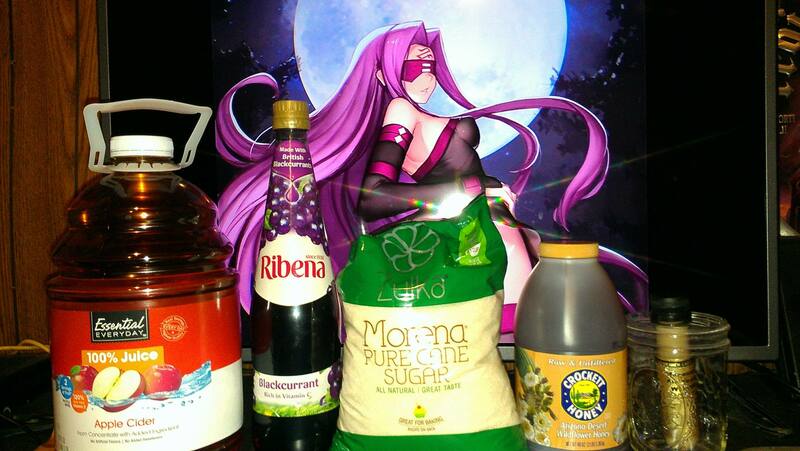 Anyways, on with the review. Geonbae! Elli and Kamsahamnida! Almond, coconut hints, pineapple hints, rice pudding, sweetened condensed milk hints and hazelnut. Vanilla, caramel, Cinnamon hints, rice pudding, sweeteened condensed milk/leche nestle, horchata hints, pears, hazelnut, almond milk, coconut hints, pineapple hints, marzipan and berry notes. Rice, vanilla, caramel, coconut hints, rice pudding, cinnamon, and slight almond milk but then finishes dry. No Moderate drinkability, Pearl White Milky full body, and a creamy, silky and milky mouthfeel. This is the first time I do a review of a wine. 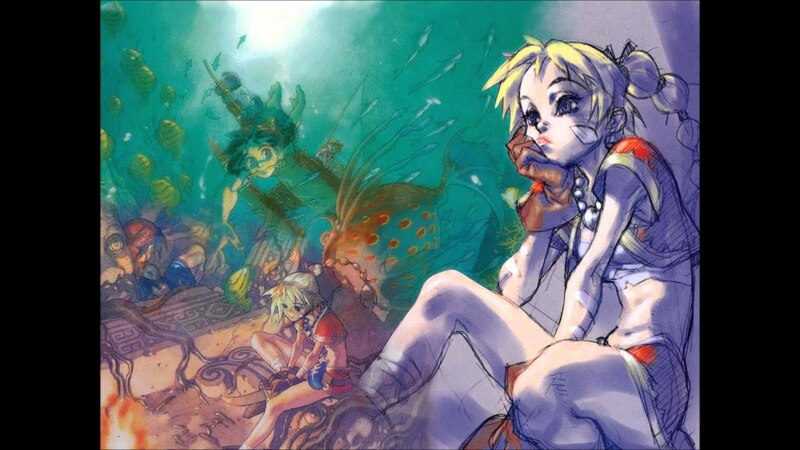 This is one I really liked. 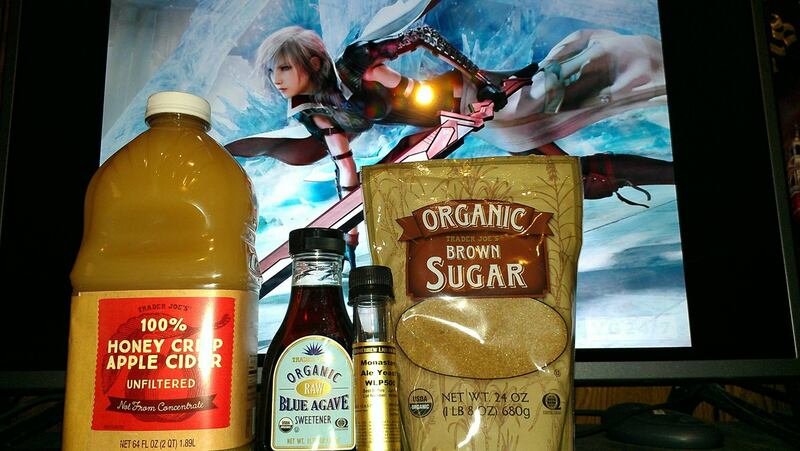 It is not overpowering and it is not overly sweet but the sweetness it does have blends well and seem really natural. Yea, I could definitely see myself getting this one again. I would definitely recommend it to those that like sweet wines especially rice wines or rice beers in this case which it seems to be an in between beverage. 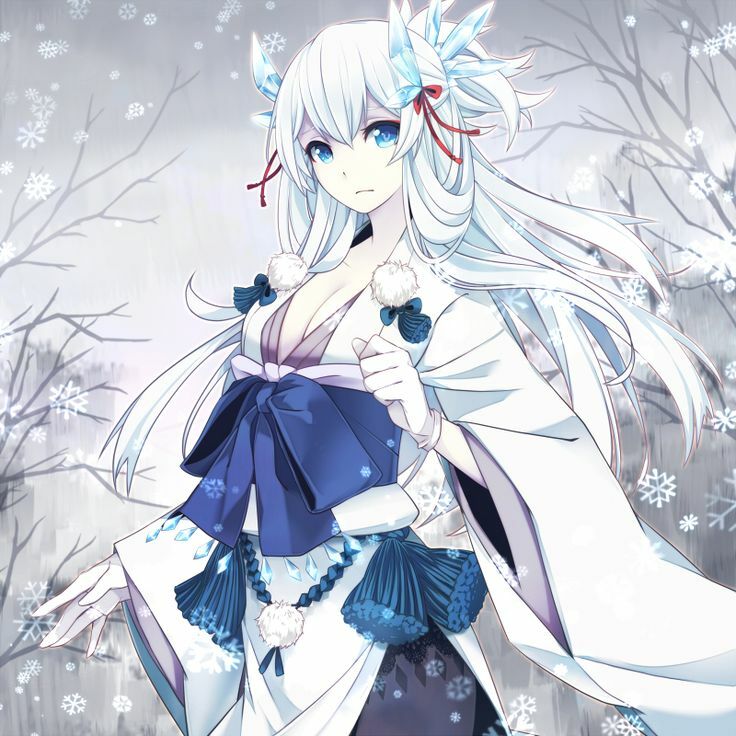 Original character by Kome100 was used in this pairing since I wanted to pair something that was in relation to rice as well as an oriental type of attire like the kimono. 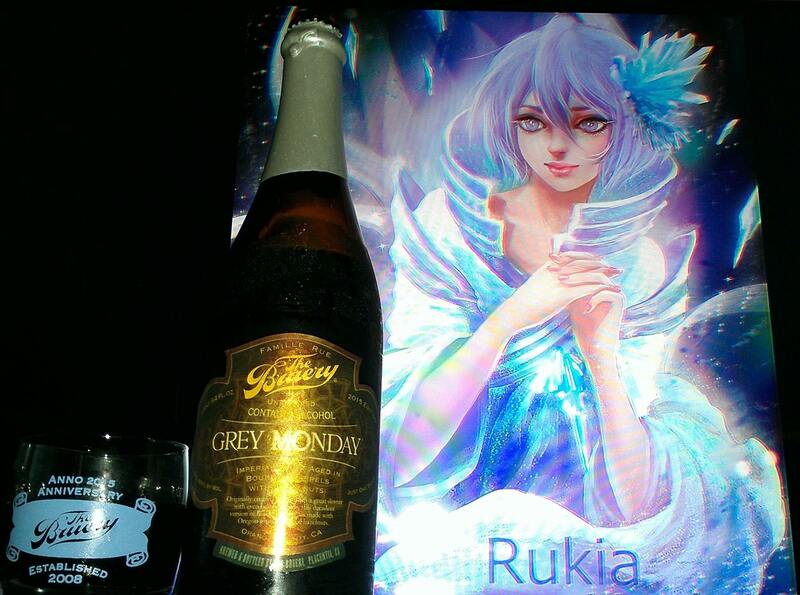 Something like that seemed to fit in my mind and the best part is this one is best drunk as cold as possible. Delicious! La ManzArcángel Chapter 2: Mālum Ex Machina by Nubis Sanctum Ales is a 13% ABV Belgian Trappist Honey Crisp Apple Cider made with Organic Blue Agave Syrup and Mexican Cane Sugar. Project#8 is the return of my original recipe for the Belgian Cider made with Blue Agave Syrup and Trappist Yeast but using Honey Crisp Apple Cider and Mexican Cane Sugar/ Azucar Morena. The idea for the name came from the original Holy Cider theme that I was going with and in essence since I was going to use the left over Trappist yeast cake that I had left from the Blinding Lunar Currants Cider. In essence, the second chapter is a play at the word for Apple and Evil and Latin ‘Mālum’. 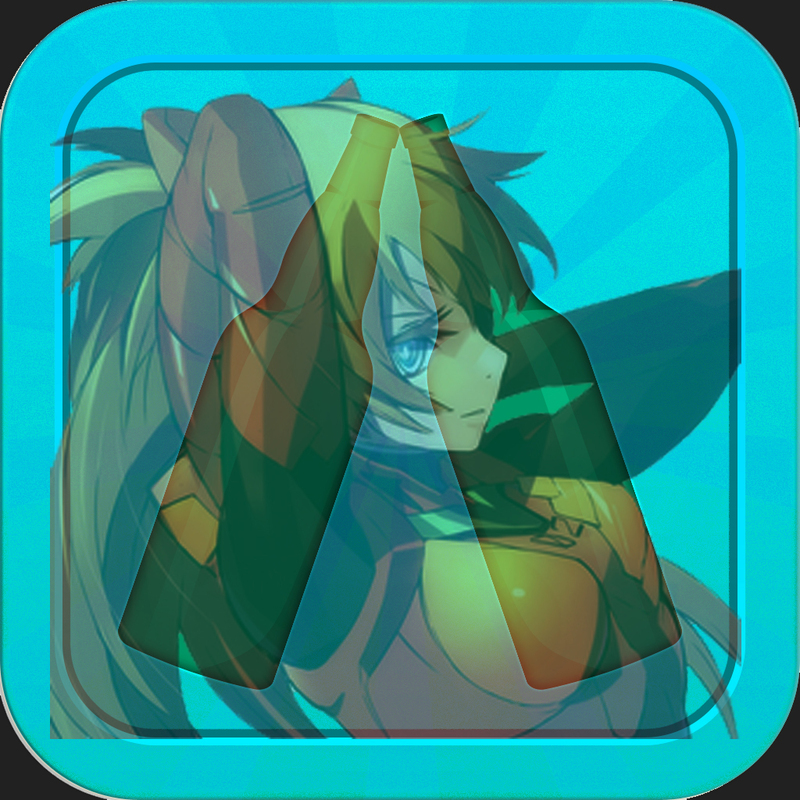 Yes, it seems there is dual meaning here. 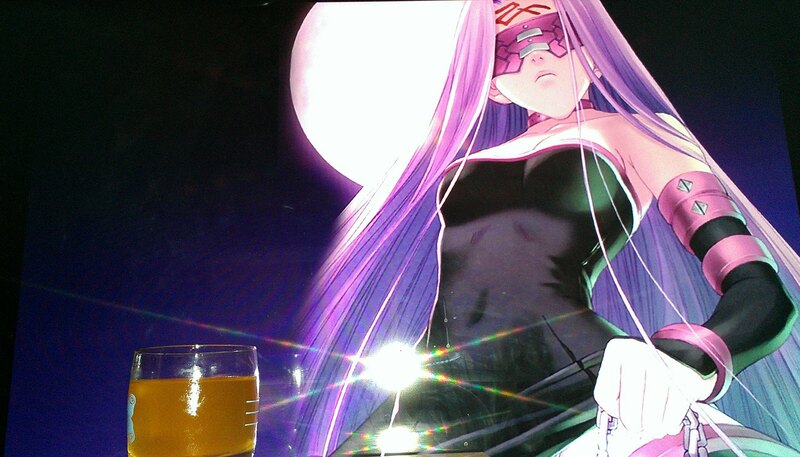 Although, this cider is supposed to be Holy, it should be more Godly than anything but can a God be pure? Well, It’s like comparing apples and oranges so lets find out. Cheers! Sour Apples, peppercorn, citrus, honey, brown sugar, grape hints, dark fruit hints, Belgian phenolic notes, vanilla, dulce de leche, cherry notes, and piloncillo. Tart Sour apple notes, grape hints, apples, pears, agave hints, strawberry notes, rich citrus, orange notes, lemon peel, brown sugar, cane sugar, banana hints, clove hints, pineapple hints, Stone fruit peaches, apricot hints, peppercorn, floral notes, vanilla, dulce de leche caramel, cinnamon, toffee, pilocillo hints, toffee, pecan pie hints and plantains. Tart and sweet finish, sugary apple remnants, banana notes, clove spices, honey, vanilla, pears. Chardonay hints, clove spice, hazelnut, berries and brown sugar. Slight boozyness in the taste but not as much as the original, Gold and brown Hazy body, sipping drinkability and a slight crisp and creamy mouthfeel. A slight mark above the original as the booziness has become more subtle but the complexity of it takes another direction from what the original did. It seems like it is more in the sweet yet tart taste which is most likely from the use of the yeast cake and the fact that there was some hints of the Black Currant cider in the yeast cake as well. All and all, it was mainly as way to see how the yeast cake can flourish even after the initial cider has completed. I think what I will do for next time is ferment the regular cider and then use the yeast for another cider but then any additives will be in the secondary. Either way, I really love how this one came and and definite on the honey and banana citrus edge. Lightning Claire Farron, from the Final Fantasy XIII series was chosen in this pairing to go with the Belgian Cider as I wanted to use something that had to do with something Holy as it is a Belgian Monk themed cider and similarly, I wanted to do something like the saint. The Spanish name was give as it uses the Agave Syrup as I mentioned before. 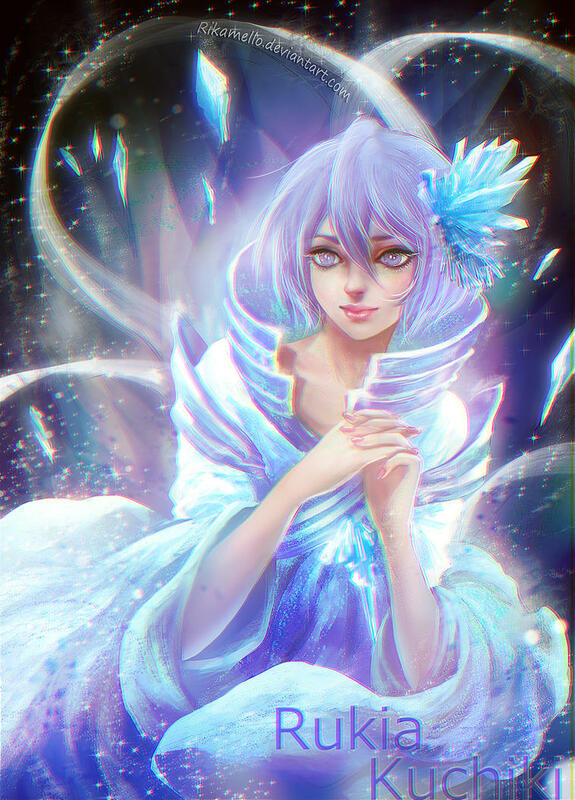 For lightning, she became a messenger of God, a holy knight of God in the series. 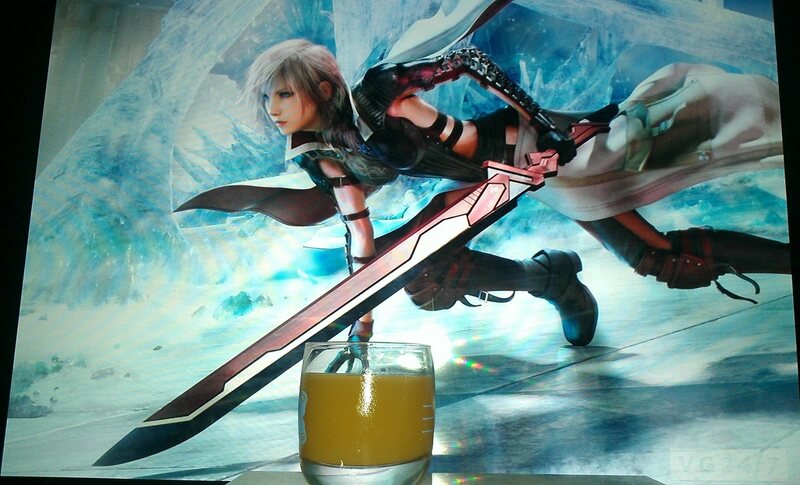 Lightning returns in Chapter 2 holding the very power of God from the apples. She is not quite evil (which could be said something about the tartness about the taste) but because she is closer to God, she has no human emotions as she remains neutral. 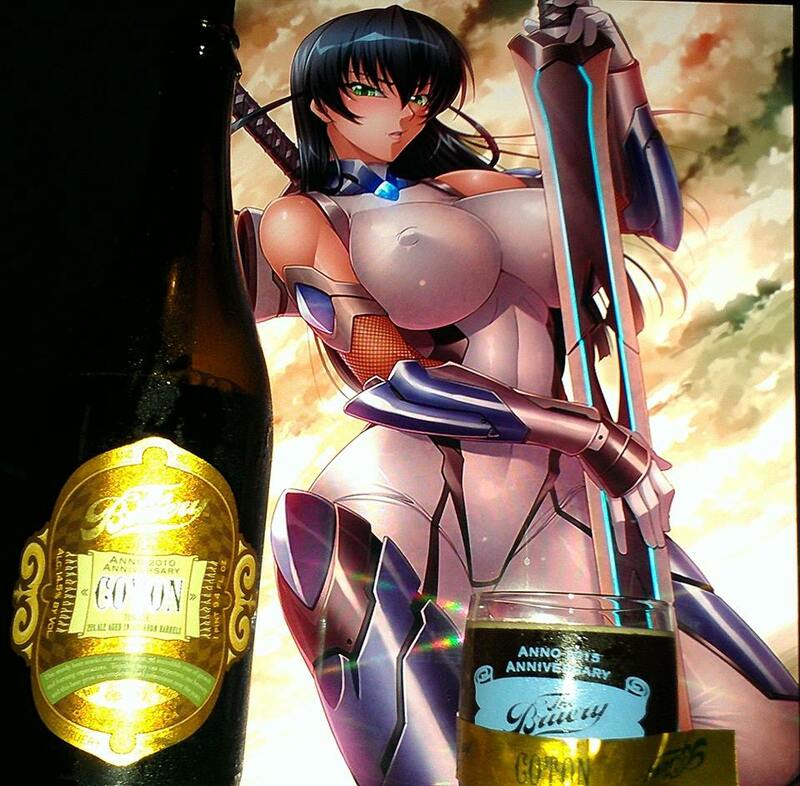 The strength of the cider to be something above of what it used be could be seen Godly. Thankfully, this cider is not evil and it is deliciously and holy goodness. 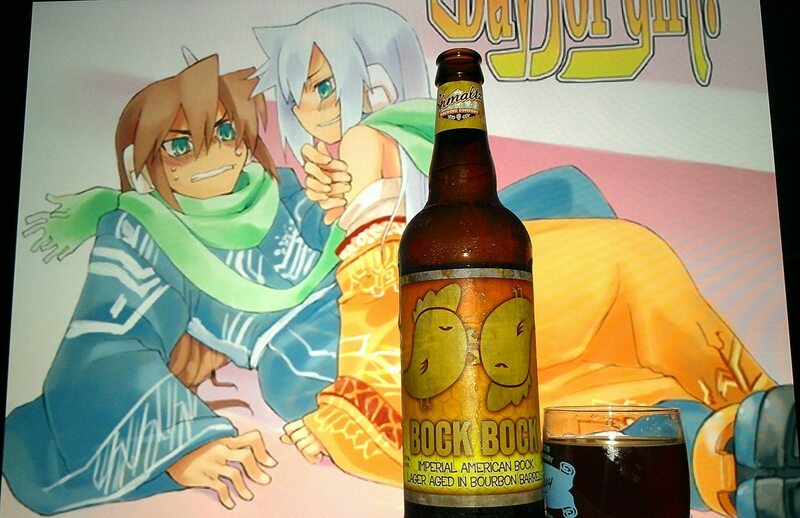 BOCK BOCK by Shmaltz Brewing is a 9.2% ABV Imperial American Bock Aged in Bourbon Barrels. What is the Trinity of SHMALTZ Brewing? 1. “Shmaltz” Meants chicken fat, in Yidish. And no, there’s none in the brewing. 2. Sentimental, often irreverent sense of humor. See also: Mel Brooks, Henny Youngman, Rodney Dangerfield, Seinfeld. Add your own shtick and enjoy. Rendered for your drinking pleasure – L’Chaim! To Life! 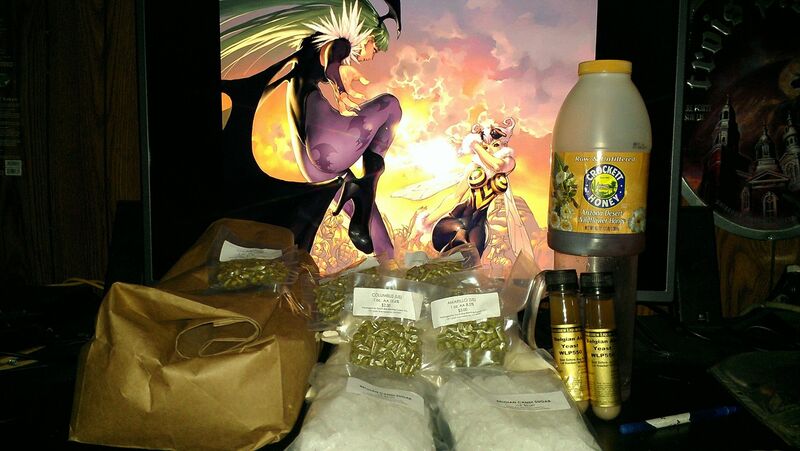 Hops: Warriot, Fuggle, Northern Brewer, Cascade, Crystal. Obtained this one through my local shop. When I first saw this I remembered about how Shmaltz used to have their Coney Island Lager brand. 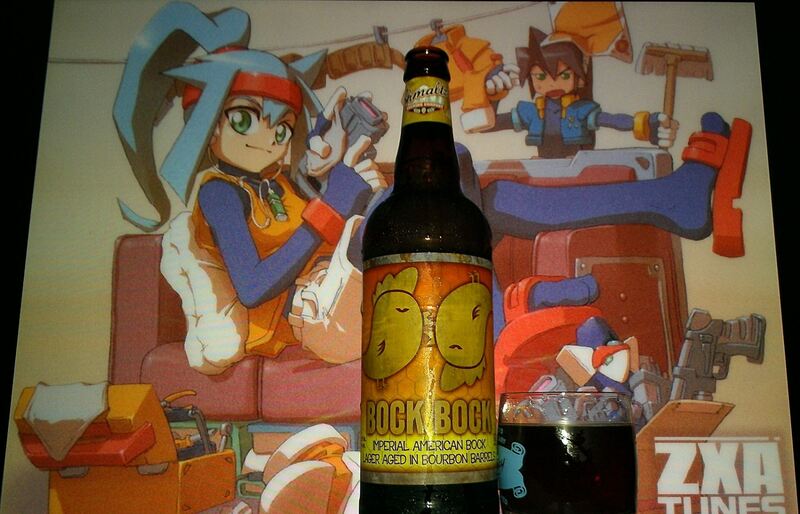 They once made a Barrel Aged Bourbon Bock which was called Barrel Aged Block Head. 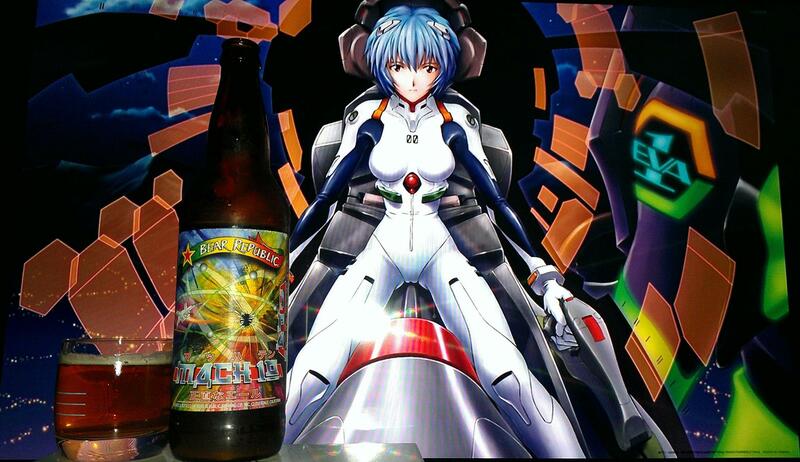 So yeah, you see how this reminded me of that special lager I reviewed back in 2012. I was definitely excited to bring this one here for a review as I wanted to see if this entice what I used to try when they had their lager series. So bottoms up with this one and cheers! Rich dark fruits like cherries, raspberries, raisins, prunes, sweetened condensed milk, Bourbon, Caramel, vanilla, oak, marshmallow smores, bourbon notes, rye bread, flan, cocada Mexican coconut candy, maple syrup, pecan pie, hazelnut nectar, brown sugar and mocha hints. Bourbon, toasted coconut, caramel, flan, dark fruit cherries, raspberries, raisins, prunes, sweetened condensed milk, oak, marshmallow smores, leather, tobacco hints, brown sugar, cocada Mexican coconut candy, maple syrup, pecan pie, hazelnut nectar, mocha coffee hints, butterscotch, toffee, almond joy chocolate, red apples, cinnamon, apple pie crust, toasted rye bread, Marzipan with almond fillings, Stone fruit peaches and apricot preserves. Lots of caramel, toasted coconut, vanilla, toffee, dark fruit hints, marshmallow, dulce de leche, sweetened condensed milk and marzipan notes leave along with nice bourbon notes. Slightly boozy heat coming from the bourbon. Most likely as this beer can use some aging. Crimson Brown Clear body, Smooth, silky, mouthfeel, and moderate to sipping drinkability. An Exceptional bourbon barrel aged beer. It definitely did remind me of the Bourbon Barrel Aged Block head but definitely more alcohol heat. The bourbon heat is forward while colder and mellows out as you sip this one through. 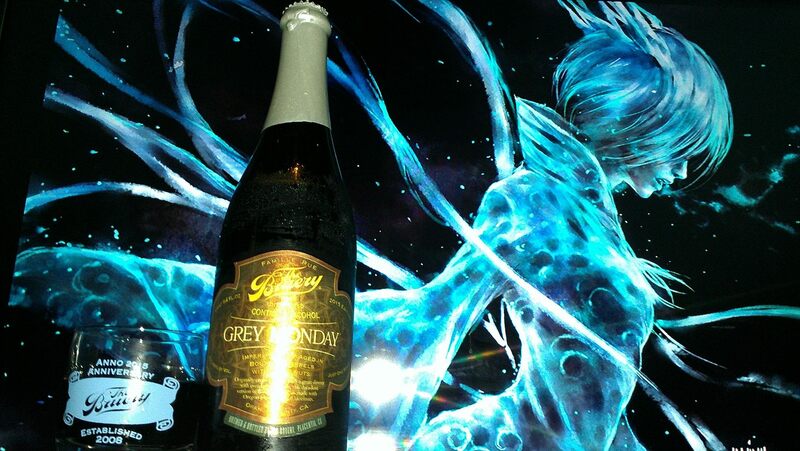 After a long time of drinking this one, it finally hit that level I was looking for from the past. I really will say, there are not enough Barrel Aged Bocks out there but for the ones that do exist, they are supreme and as such, highly recommended like this one. 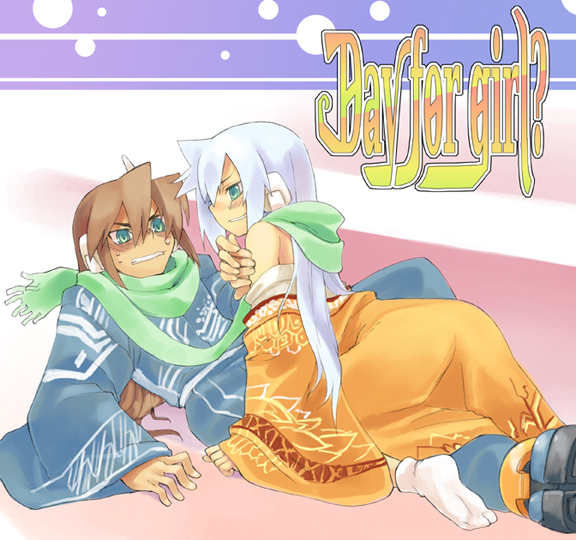 Ashe and Vent from Megaman ZX Advent were used in this pairing since I wanted to get the whole aspect of the 2 chicks or chickens. 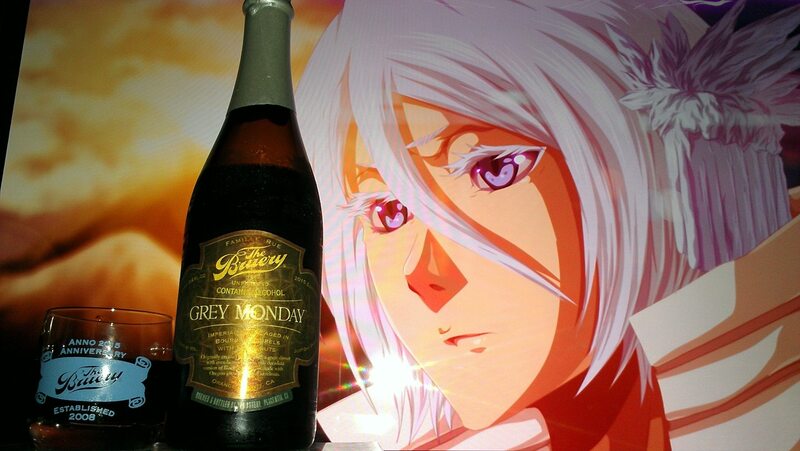 Similarly in colors and representing the flavors of the ingredients used in this beer, both Ashe and Vent trend the similar attire. 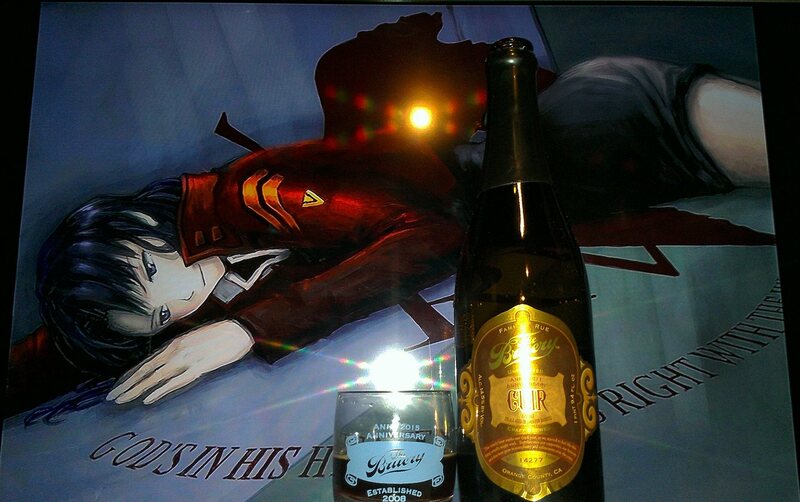 I also threw that sweet dulce de leche caramel confrontation like it shows similarly in the label. The passion of caramel and rich flavors. 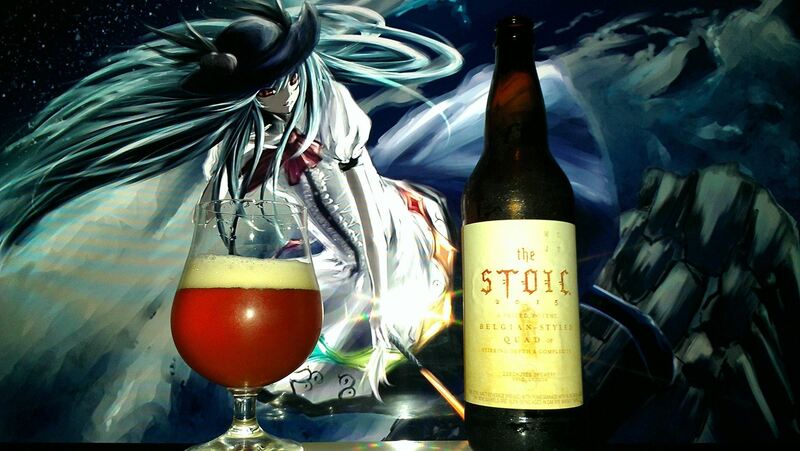 2015 The Stoic by Deschutes Brewing is a 10.9% ABV Belgian Quadrupel/Strong Dark Ale brewed with Pomegranates with 16.5% aged in oak wine barrels and 16.5% aged in Oak Rye Whiskey Barrels. Four Nuanced Fermentations. Aged, Sequestered, in select wine casks. Ergo a stoically brewed quad, with the spell binding complexity of its medieval ancestors. 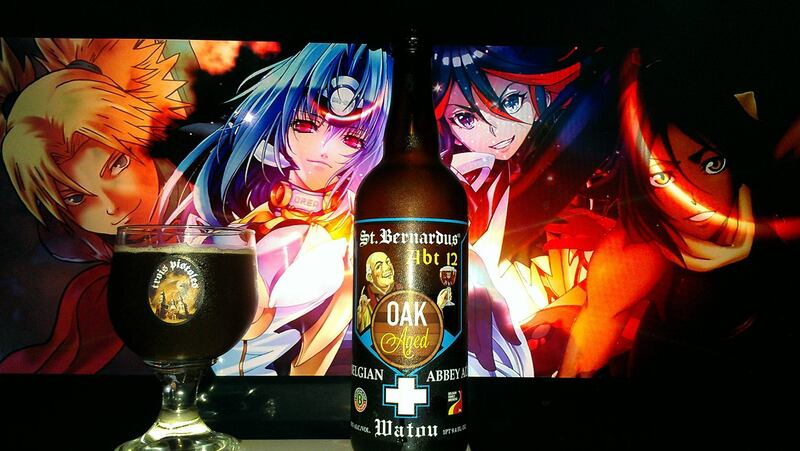 Brewed every 4 years, there is a debate going on whether this is a Quadrupel or a Belgian Strong Dark Ale. Despite the debate, many brewers know that the key to great Belgians is in the Belgian Candy sugars. What I believe makes a good Belgian Strong as a home brewer is basically experimentation. The fact is, experimentation is the biggest form to brew a strong complex beer. The fact that you are using a Belgian strain of yeast in your experiment is what set it aside from a quad. Put it this way. If you intended to brew a basic quad, a great deal of different grains and and lots of Belgian candi sugars would go in your brew. If you add extras, it may deviate into a Belgian Strong. Even, then, this is is still a Quadrupel. You know why? The base beer is the start enforcing “Belgian Candi sugar sweetness” throughout its entirety. 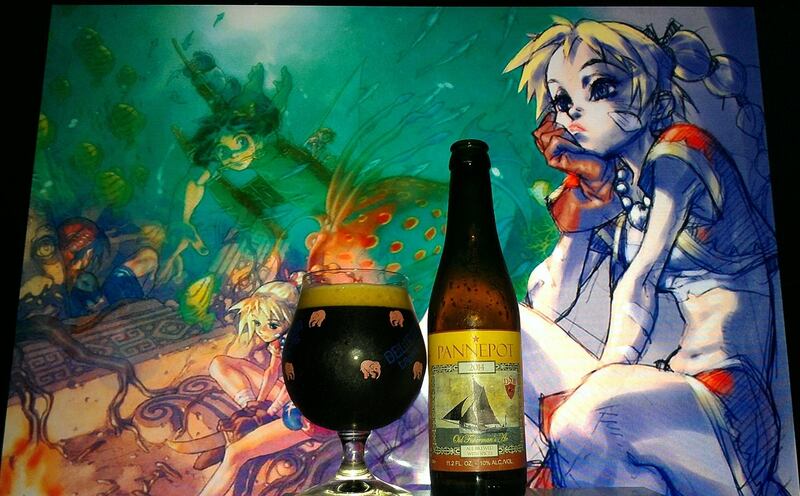 If that is the case, then a Belgian Strong goes beyond this type of sweetness possibly incorporating something else. The confusing part is when a basic quad starts to taste similar to a Belgian Strong. For that instance, you may also have to look at its stronger roots whether it deviates away from the Belgian Candi or not. It is a complicated matter but even beer should not be complicated, so cheers. Rich dark fruits, pomegranates, bananas, clove spice, dragon fruit, passion fruit. Mango hints, leather, molasses, flan, phenolic notes, stone fruit peaches, apricots, pear, brown sugar, Belgian Candi Sugar, Rock Candy, citrus, maple syrup, walnuts, almond milk, rye bread, leather notes, waffle cone and honey. Rich Stone fruit peaches, apricots, pears, lychee fruit mango hints, Rich dark fruit raisins, dark cherries, blueberries, c figs, flan, port wine notes, Rich dragon fruit, passion fruit, pomegranates, pomegranates, marshmallows, coconut, almond joy, dulce de leche caramel, vanilla, bananas, clove spice, oak, whiskey hints, flan, molasses, brown sugar, rich Belgian Candi Sugar, Rock Candy, citrus, maple syrup, walnuts, almond milk, rye bread, leather notes, waffle cone, honey, lavender, floral notes, peppercorn and sweetened condensed milk. Lots of rich dark fruits, oak, wine, bourbon, some stone fruit and exotic fruits, Belgian Tripel and Dubbel notes, floral notes, and pomegranate tartness. No alcohol in the taste despite the ABV, Crimson Clear body, smooth, creamy and crisp mouth feel, easy to moderate drinkability despite the ABV. What’s going on here?? Danger for sure. All and all, to me this is a quad because it started out as quad. The fact that it added the whole barrel aging aspect is the extra part which goes into the Belgian Strong Dark Ale area. The fact is, if the beer was already “super complex to begin with leaning away from Belgian Candi sugars” then this is your Belgian Dark Strong Ale. Trois Pistoles, for example, is not a quad since it already had those port wine notes even before anything else would be added which was not. Tenshi Hinanawi from the Touhou project series was used in this pairing as I wanted to pair something similar like I did with Flandre Scarlet in the aspect of overlooking the planet as total bad assery. While the Stoic (unlike NOT the Stoic) reserves its place as not tainted by evil but still holy and powerful showcasing every aspect of delicious complexity with every sip. The colors pair those flavors in terms of the colors of the ingredients. 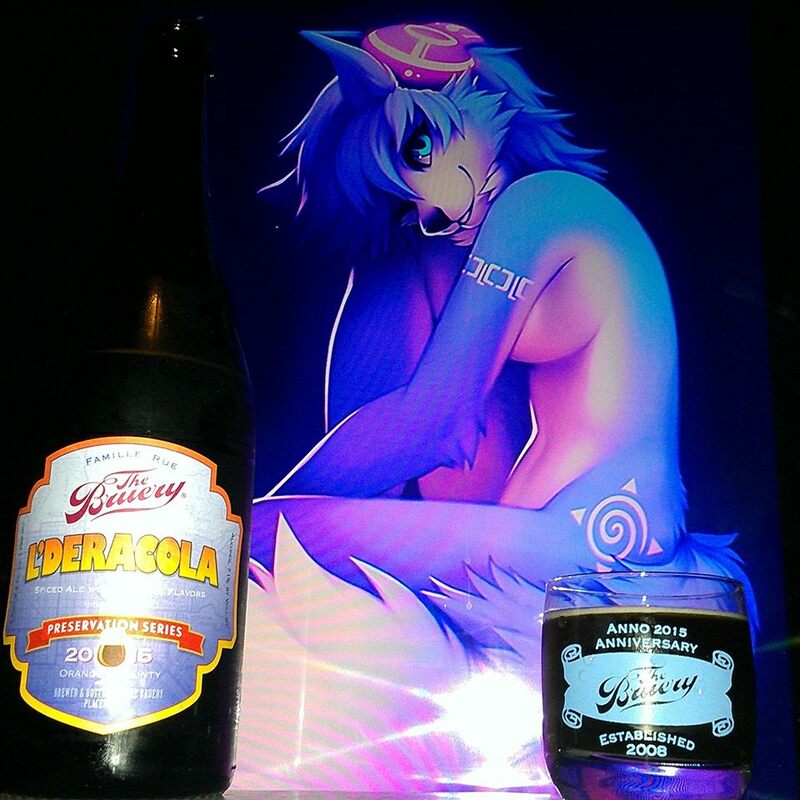 2011 Cuir (3rd Anniversary) by The Bruery is a 14.5% World Class Old Ale blend with 75% ale and 25% ale aged in Bourbon Barrels. This sturdy beer marks our third year, and we are grateful for the outpouring of community. Together may our supporters, our brewery and this beer grow in complexity and refinement over the years. Cuir (Leather) will age gracefully for decades when cellared properly. Cuir is our third anniversary ale. It is the same recipe as Papier and Coton, created using the Solera method. Layered with complex flavors of dark fruit, vanilla, oak, and burnt sugar, we blended a portion of both Papier and Coton that had been aging in oak barrels with this new batch of the same beer, adding an additional layer of complexity that will grow over time as we continue to age and blend with each anniversary, creating an older average age to the ale. Cuir or “Leather” in French, in the traditional sense of the wedding anniversary gifts, refers to the 3rd year in which Leather is given. The beer will be released in 2011 but was sold as a special release in May 2015 to the public. 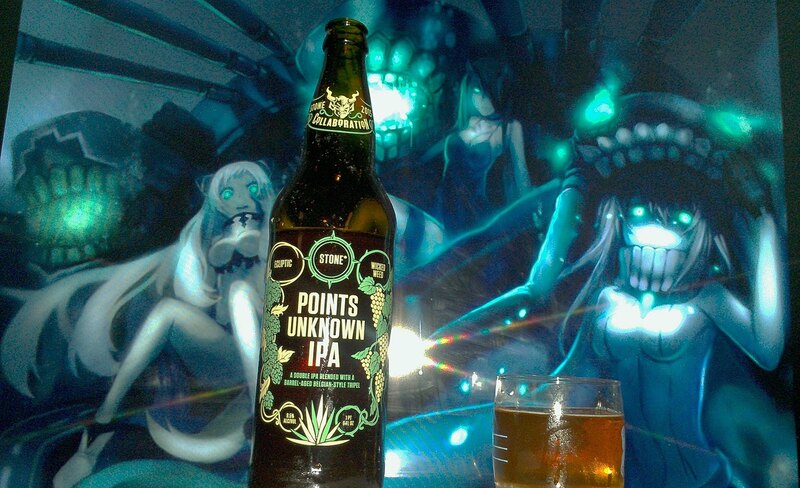 I was able to snag a bottle since I have never had it or brought it to the site. Unfortunately, this was only sold one at a time so in order to get this one, you may have to trade for it unless you have in your cellar already. 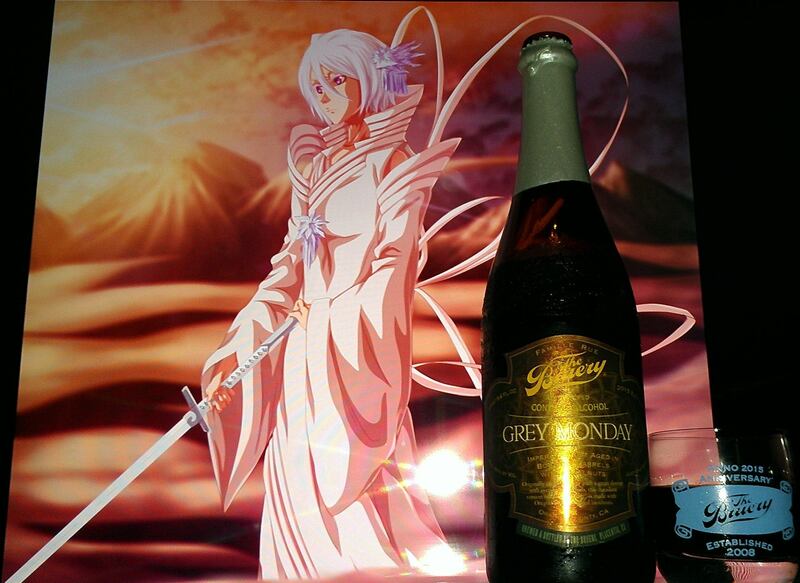 Regardless, it is something very special that may not see the light of day or hardly a taste bud for that matter and therefore, it reserves its right to fame in the Animebeers community. Cheers! Brown sugar, chocolate truffles, pears, waffle cone, white chocolate, raspberry chambord, leather, oak, marshmallows, bourbon hints, chocolate smores, toffee, wine notes, port wine, wine grapes, raisin bread pudding, rice pudding, butterscotch, dark belgian candi sugars, dark fruits galore like raisins, rich plums, dark cherries, blue berries, currants, black berries, raspberries, figgy pudding, flan, sweetened condensed milk, crème brulee, dulce de leche caramel, vanilla, stone fruit apricots, peaches, pears and Cadbury cream eggs. Supreme dark fruits galore like raisins, rich plums, dark cherries, blue berries, currants, black berries, raspberries, figgy pudding, flan, sweetened condensed milk, crème brulee, dulce de leche caramel, vanilla, stone fruit apricots, peaches, pears, Cadbury cream eggs, burnt sugar, grilled bananas, brown sugar chocolate truffles, pears, waffle cone, white chocolate, raspberry chambord, leather, oak, marshmallows, bourbon hints, chocolate smores, toffee, wine notes, port wine, wine grapes, raisin bread pudding, rice pudding, butterscotch, dark belgian candi sugars, dark chocolate, rock candy and banana split sundae. Super rich dark fruits and extreme complex flavors or rich caramel, toffee, port wine, dark cherries, chocolate hints, marshmallows, bourbon, oak, butterscotch and vanilla. No alcohol in the taste as time has done wonders to this beer. Smooth, creamy, syrupy and silky mouthfeel, Moderate to sipping drinkability, crimson red brown clear body. A true wine among beers! Damn, this beer was over the top super dark fruit centric involving such a damn richness that I have only seen with beers that have been aging for more than 3 years! The reason it feels like a wine amongst the beers of the world has to do with the dark fruits but the aging making it super complex and velvety. I have no idea what Wine Connoisseurs do but I am assuming it has to be close to this as they do drink fermented beverages that age for 5, 10, 20 even 50 years. Cuir just seems like something so above the other beers of the Bruery Anniversary I have tried that it makes me wonder what time will say about those beers some day. Here’s hoping but if you can trade, get it for sure! Misato Katsuragi from Neon Genesis Evangelion was used in this pairing because along with my theme of using plug suit characters from Evangelion, Misato was one of my favorite characters that I don’t think really got to wear a plug suit outside the original series and was definitely something I wanted to bring forward. 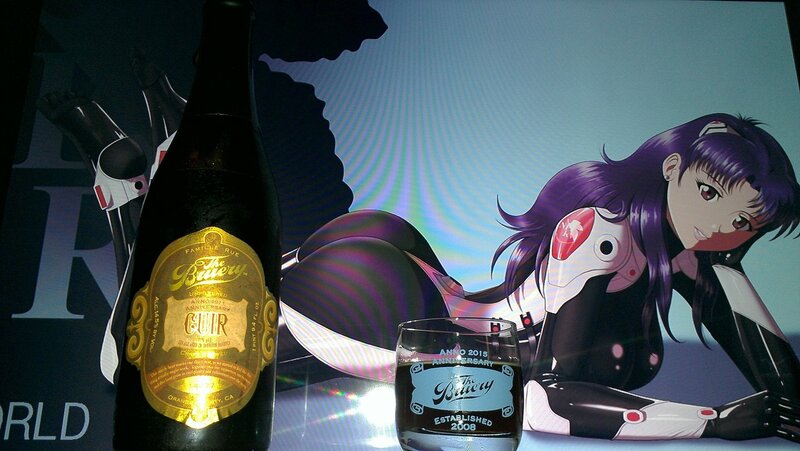 So since we are going backwards from “Fruet”, I felt this was the appropriate place to do so with her and continue the Bruery Anniversary tradition even if going backwards. 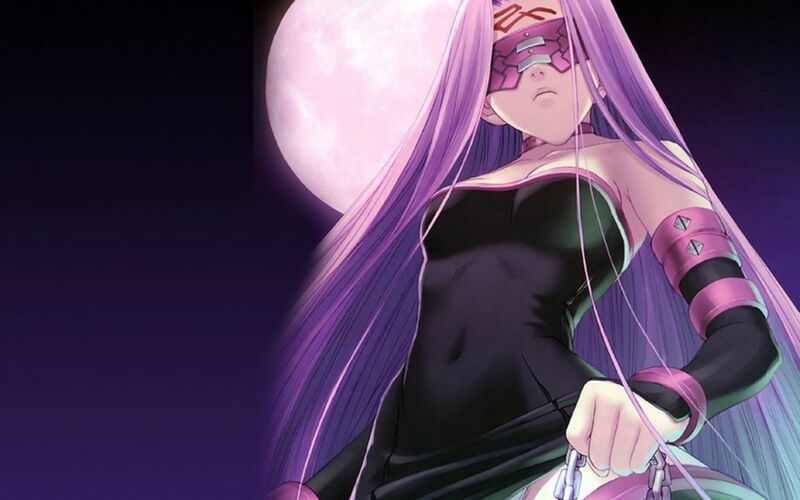 She was damn perfect for this pairing because of the dark fruits but also because her “what if” scenario where she sported a plugsuit it was said to be made of dark leather. Dark Leather plus Dark Fruit colors from her hair is what Cuir is all about in its flavors true and rich!